Who can shoot the highest, the farthest and most accurately? 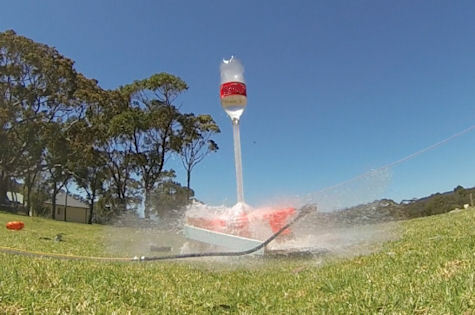 This activity is sure to bring a smile to your face as you create & launch your own bottle rocket into the sky. Our rockets are made with an empty two-litre plastic bottle, adding water and pressurizing it with air for launching. 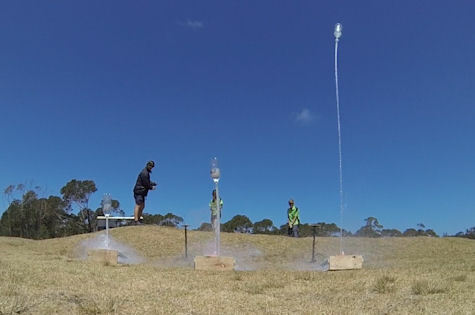 Rockets can be used to help participants understand the principles of aeronautics, gravity, relationships between work and energy and also encourage creative design.